Mix ground turkey, panko, egg, salt, scallions, cilantro, 1 tbsp soy sauce, and 2 tsp oil and mix with your hands until combined well. Shape 1/4 cup meat mixture into a ball and transfer to a baking dish. Repeat with remaining mixture. Bake until cooked through, about 15 minutes. 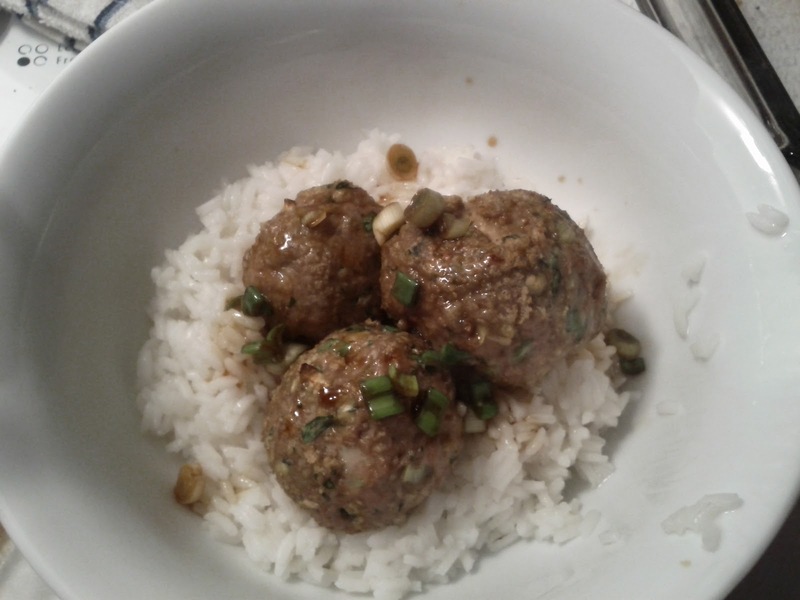 Serve meatballs with remaining sauce, about 1 tbsp per person. You'll have leftover sauce, trust me! The meatballs look and sound fantastic.